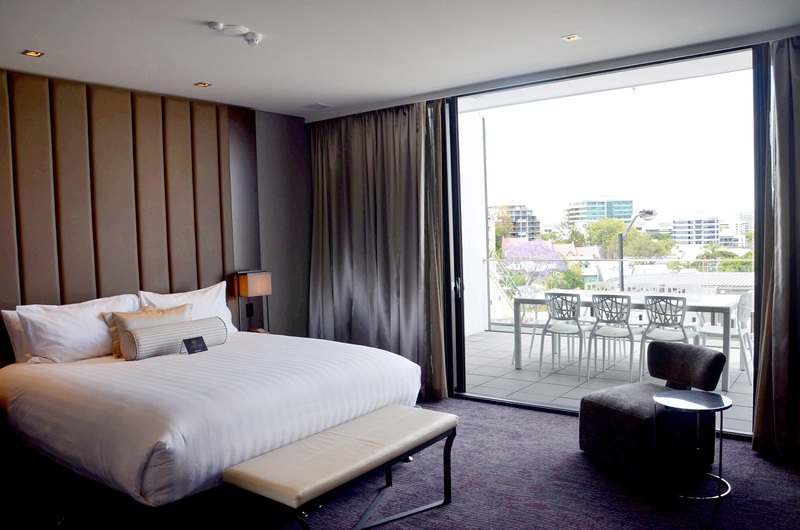 Revel in the exhilarating ambience of the Courtyard Suite at Brisbane’s most preferred boutique luxury hotel, where divine décor, state-of-the-art technology and visionary amenities elevate your stay. A captivating entrance leads through to an expansive, modern bedroom featuring the superb Sealy Exquisite Collection King bed, the most luxurious bed supplied by Sealy to a hotel in Australia – exclusive to Gambaro Hotel Brisbane – and part of the Gambaro Hotel Signature Sleeps Collection. Entering through the hallway of an expansive wardrobe, the room opens up with beaming natural light into a large bedroom, sitting area and desk space. 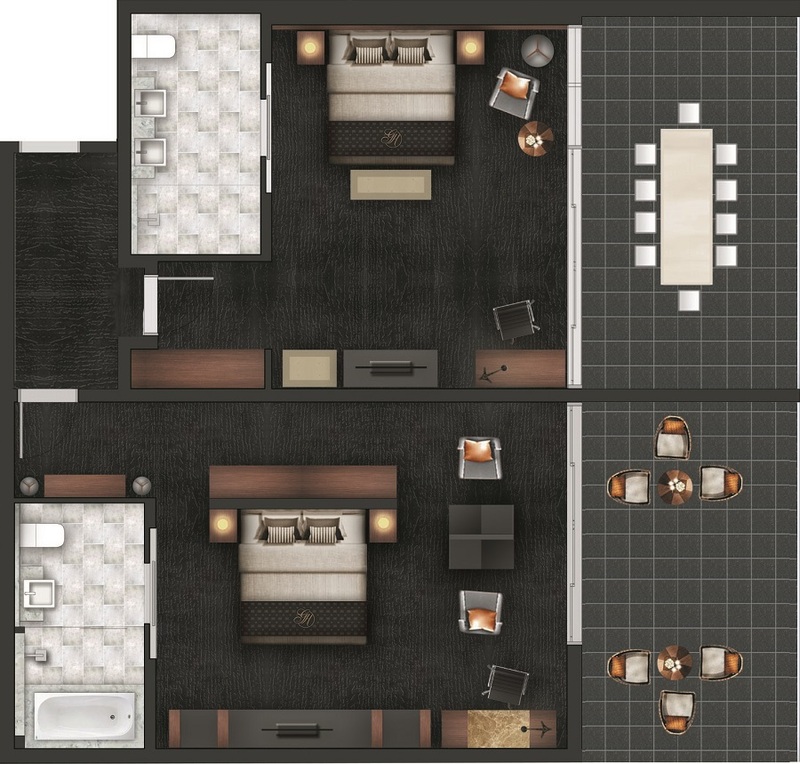 The bedroom leads onto expansive sitting areas where you can lounge in divine comfort, and enjoy the beautiful Queensland weather in the luxury of the additional outdoor living space. Large private balcony terraces and floor to ceiling glass amplify your sense of space and light with an 8 seater outdoor setting to enjoy drinks and dining with friends and family. Sensational views of Paddington, Suncorp Stadium and the mountainous Brisbane surrounds complement the elegant interior furnishings and exquisite bespoke furniture. 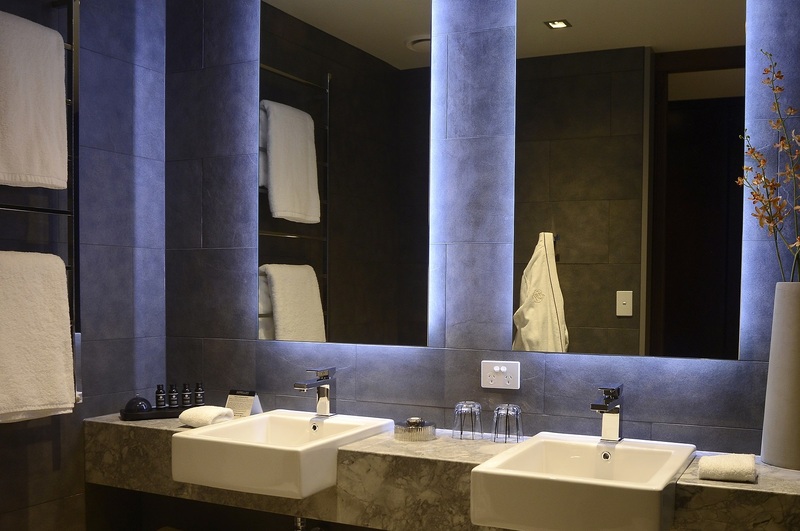 Indulge in oversized bathrooms, featuring deep soaking tubs, separate rainfall showers, marble vanities and APPELLES black label bodycare, exclusive to Gambaro Hotel. For special event stays or families, the Courtyard Suite can be interconnected with the GG Suite, and both rooms combined to create a 2-bedroom suite with exclusive private access. Subject to availability. Contact the Hotel direct for further information.